2009 !!! Tribe Sounds - Hard Techno - Mental Sound !!! 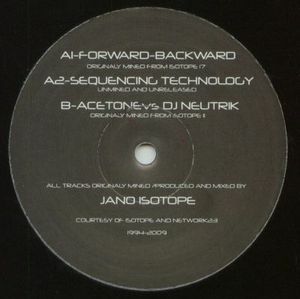 A1 : Forward Backward (Originaly Mined From Isotope 17) A2 : Sequencing Technology (Unmined And Unreleased) B : Acetone Vs Dj Neutrik (Originaly Mined From Isotope 11).